Twitter user Kenta Shinohara makes excellent stop-motion animation clips using game and anime figures. 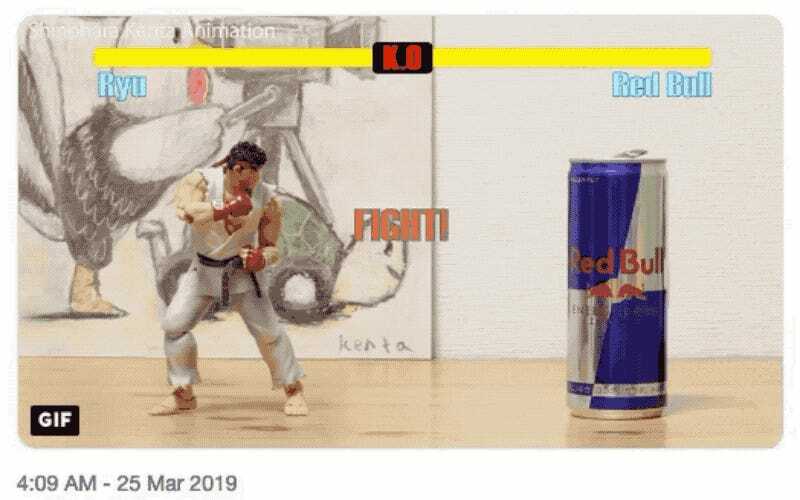 Case in point, this one of Ryu beating the crap out of a Red Bull can. Here is how the made the stop motion clip.